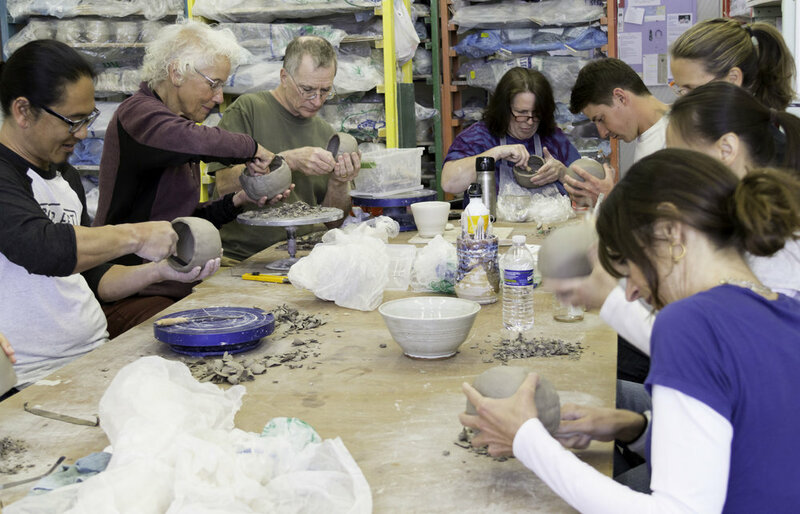 Private events at the Pottery Lab are a wonderful and unique experience. Hosted by our talented staff, each participant will make their own work of art that we'll finish, fire, and return to the host. Come join us for a fun and creative celebration! Adult's can play too! Hand-building parties follow the same structure as kids’ birthday parties, but more clay, less cake. Oh, and you can BYOB (if everybody's over 21). Itinerary: A short instruction demo followed by plenty of time for working in clay. Then a quick clean-up. We offer gatherings for families, friends, neighbors, young and old. Give us a call and we'll craft your celebration together! Teams who share new experiences are teams who grow together. But not everybody wants to hike Sanitas or go skydiving. (Although you totally should!) So what can you do to get away from the screens, out of the office, and into something new? Try clay. Itinerary: A short introduction and demo followed by lots of time to get messy. Each team member will receive a little one-on-one assistance from our talented staff. Plus group clean up at the end. Follow-up: Clay pieces created by your team will be bisque fired, clear glazed, and fired again. We will call you to pick up all artwork when the pieces are finished. The entire process typically takes two weeks. Book a team building experience like none other. Get creative and practice beginners-mind together! Please call (720) 379-6033 to schedule your party or team-building activity!